Buying groceries online? Does that sound weird? It’s actually becoming more and more popular all over the country. Read on to learn how to save time and money by purchasing your groceries online. Shopping online is a great option for busy couples and families. Put together your grocery list, order it, pay for it, and schedule delivery for when you’re home. Saves you time and in many cases, you can also use online coupons to save money on many different items that you use everyday. 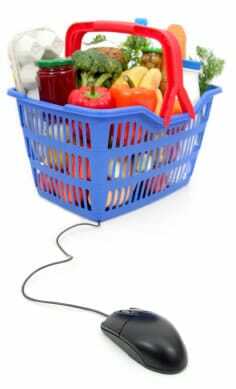 We have compiled a list that contains some of the more popular online grocery shopping websites [no longer available]. Several of these sites belong to traditional brick and mortar stores too and their delivery areas are limited geographically. However, there are several others that will deliver anywhere within the United States and beyond. We want to briefly hit some of the highlights of each store. In many cases these sites will offer online discount codes or offer free shipping. Amazon – Amazon features a wide variety of staple items (non-perishable). Many of the items on Amazon are also offered in bulk packages with the pricing and portion sizes rivaling those of local warehouse club stores. Amazon also offers what they refer to as Amazon Prime, which for $79/year will get free unlimited two day shipping (no minimum purchase required). Their selection is vast and you are also given the ability to read other shoppers’ comments on various items before deciding to add them to your own ‘cart’. Peapod – Peapod is restricted to certain geographic areas; however, you are able to order virtually anything needed through their website (fresh produce, dairy, meats, etc.). Again, pricing is competitive and they feature sale items, promotions, and discount coupons. Meijer – Although Meijer‘s physical stores are all located within OH, KY, IN, MI, and IL, they ship products to all 50 states. However, they will not ship grocery items to Alaska or Hawaii. Pricing and selection is great on their website. They feature sales items and offer promotions such as 5% off of case quantity orders. 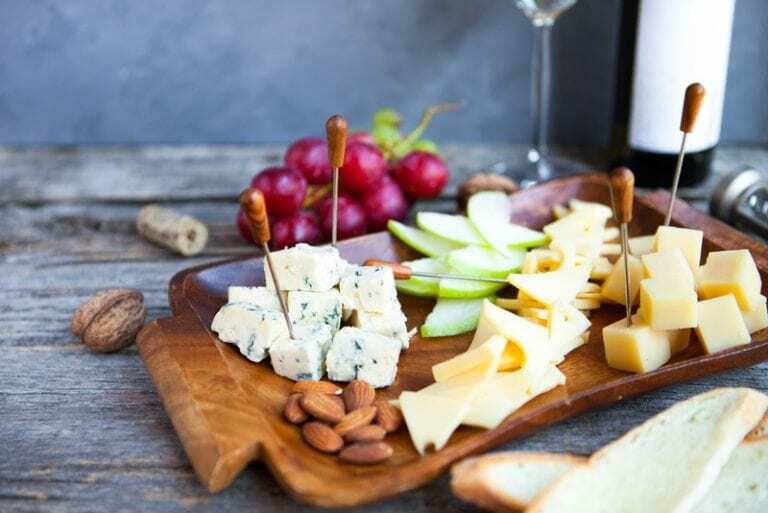 Vons – Currently, Vons.com offers delivery to residential locations in the following areas: San Fernando Valley, South Orange County, Inland Empire, North Orange County, San Gabriel Valley, West LA, South Bay, Temecula, and San Diego in California and Las Vegas, NV. Delivery charges range from $6.95 to $12.95 depending on time frame requested for delivery. However, for first time online shoppers they do offer free shipping on orders over $50. For those of you who live in Southern California and don’t want to battle traffic just to get to the grocery store, this may be an excellent alternative! Safeway – Safeway.com offers delivery to residential locations in the following areas in Northern California: San Francisco, Marin, Greater North Bay, East Bay, Sacramento, San Jose, Peninsula, Monterey, and Salinas. They also deliver to Portland, OR; Seattle, WA; Greater Phoenix, AZ; and Maryland, Philadelphia, and Washington DC. Delivery charges range from $6.95 to $12.95 depending on the time frame requested for delivery. As with Vons, Safeway offers first time shoppers free shipping for online orders over $50. MexGrocer.com – MexGrocer has been shipping Mexican food products and related items since 2000. They ship throughout the United States (including Alaska and Hawaii), Canada, and to APO/FPO military base addresses. They often have some great promotional offers such as 20% off of orders of $30 or more, 10% off online orders, and more. Kosher.com – Sometimes it’s difficult to find certain Kosher items in local stores. If you are looking for a particular Kosher product, Kosher.com will definitely have what you’re looking for. They also ship nationwide (including Alaska and Hawaii). With a $50 minimum purchase they now offer free home delivery to all of Manhattan and several locations in Brooklyn and the Bronx too. Kansas City Steaks and Omaha Steaks – Both of these well known companies offer many different promotions that include free shipping, fixed rate shipping, or free items with minimum order amounts. Top quality, highly rated steaks, chicken, pork, and seafood are available through both of these sites. With BBQ season approaching quickly, you can’t go wrong ordering top quality meats from Kansas City Steaks or Omaha Steaks. Our hope is that these descriptions and tips will be of assistance to you in ordering grocery items for you and your family. We encourage you to give try online grocery shopping. It may become a routine activity for you!